Explaining the importance of identity protection can be challenging, but our new wall chart is designed to do just that. Download it for free now! 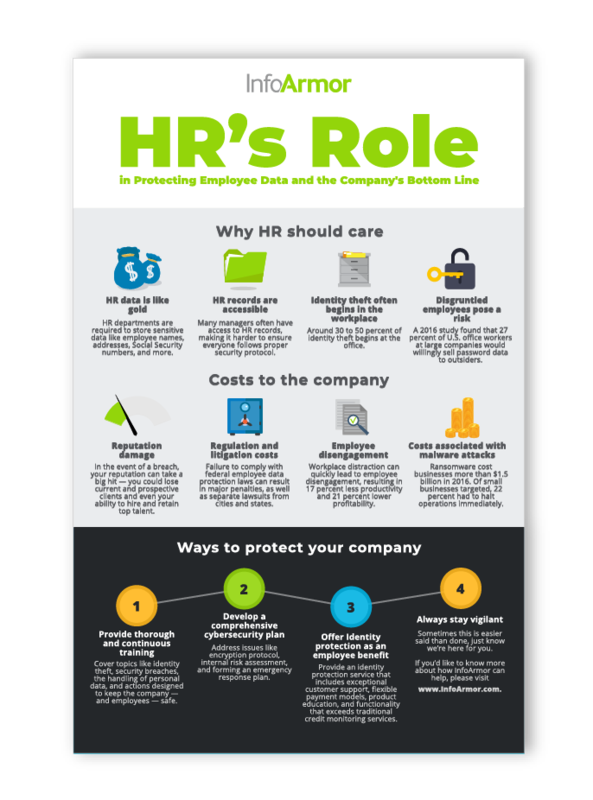 What role do companies play in protecting employee data? What costs do businesses incur if that data is compromised? How can a company protect itself and its employees from these risks? Explaining the importance of identity protection can be challenging, but our new infographic is designed to do just that.